This early July, I had 2 weeks break from my full time job. Me and my hubby had an idea to do a road trip since we hadn’t really done a road trip before. So, we decided to have a trip to Banff. Total time driving from Vancouver straight to Banff is 10 hours! However, me and my hubby are not fans of long drive. Hence, we stopped approximately half-way from Vancouver to Banff on the way there and on the way home. 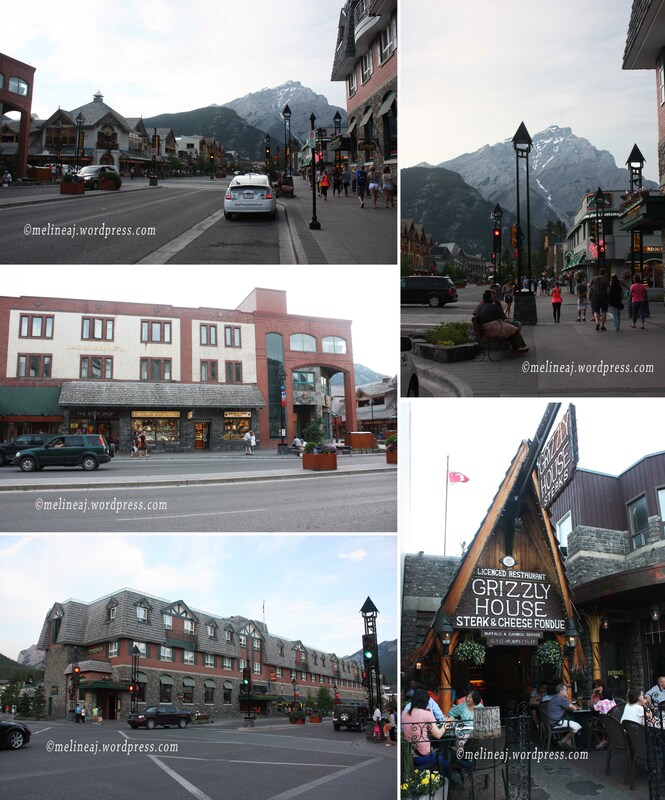 Our itinerary is Vancouver – Kamloops – Banff – Kelowna – Vancouver. We spent 4 nights 5 days for our trips and we were exhausted by the end of the trip. We woke up pretty early on our way to Kamloops – 5.00 AM!!! Luckily, it was my hubby turn to drive – so I could have a little nap hahaha… We stopped at Tim Hortons to get a black coffee for my hubby and the strawberry glazed Timbits for me (OMG they are super goooooddd!). From Vancouver, we took Highway 1 East (Trans-Canada Highway) passing Langley, Abbotsford, Chiliwack, and Hope. It was just a straight boring highway so as you know, I fell asleep after eating my Timbits hahaha… Continuing the journey, we took BC Highway 5 North (Coquihalla Highway) passing Merritt and through some beautiful mountainous scenery! We arrived at Kamloops by noon – just in time for lunch. We planned to have Japanese for lunch at Eden Bento Cafe but unfortunately, it was closed. So, we went to Taka Japanese Restaurant. The food and the portion was good for the lunch bento. Oh did I tell you that summer at Kamloops was really really really hot! We were sweating non-stop! After a very tiring hike, we checked in to our hotel, Four Points by Sheraton and cooled our selves inside the air conditioned room… ahhh…. The cool thing about the hotel is that it has a small swimming pool with a waterslide and a jacuzzi!!! We immediately marched to the swimming pool and had fun sliding down the waterslide as if it was our private pool hahaha…. In the evening, we went to Pizza Hut – since my hubby craved for it – and ordered 2 medium pizza nyummmm…. The trip from Kamloops to Banff was about 6 hours drive so we woke up around 6 am in the morning. We drove through Trans-Canada Highway passing Salmon Arm, Revelstoke, and Golden. We stopped at Golden to have a quick breakfast at McDonalds. Along the highway, the beautiful snow capped Rocky mountain was around us. We also passed some small lakes and creeks with sparkling turquoise water. I felt like I could just jump into the lake and swim on the cool water during the scorching hot day. Along this highway, you can stop at some attractions, such as Mt. Revelstoke, Illecillewaet Camp Ground near Rogers Pass, Glacier National Park, Bear Creek Falls, Beaver Valley, Yoho National Park, and Lake O’Hara. 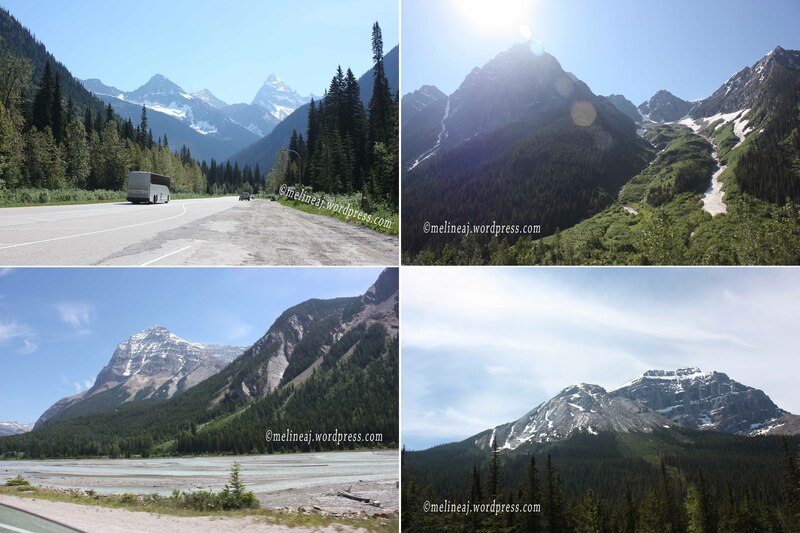 The most scenic drive was through Rogers Pass. It’s a straight highway with mountains view in front of us (see picture below: top left). Simply gorgeous! We just had to stop on the side of the road to take picture of the beautiful view. After driving for 5.5 hours, we finally arrived at Lake Louise. Before approaching the lake itself, we passed the village where the information centre and some shops are. A short drive up, the cars started to slow down to find a parking spot and it was tough since there were so many cars and tour buses! With a little bit of luck, we found a spot and walked toward the lake. I saw the picture of Lake Louise so many times on website or on TV but it was just a different feeling when I saw it with my own eyes. As one of the famous Canada’s natural wonders, it is truly BEAUTIFUL! The water is calm and so refreshing. No wonder that some of the tourists couldn’t resist to jump into the lake for a swim. There is a canoe rental on the west side of the lake in case you want to explore further down the lake. We walked toward the east side of the lake and took pictures after pictures after pictures hahahaha… In the winter time, the lake is actually frozen and the area turns as a ski resort. Fairmont’s Chateau Lake Louise is right next to the gorgeous lake. There are some gift shops inside the hotel and restaurants that serve the tourists. We went in to the hotel just to see the interior of the hotel. As any Fairmont hotels, the decorations were stunning. I love love love the chandeliers that remind me of a classic Victorian castle. We drove back to the village area to have some snacks at Laggan’s Mountain Bakery. Me and my husband shared a beef pie and a sandwich. 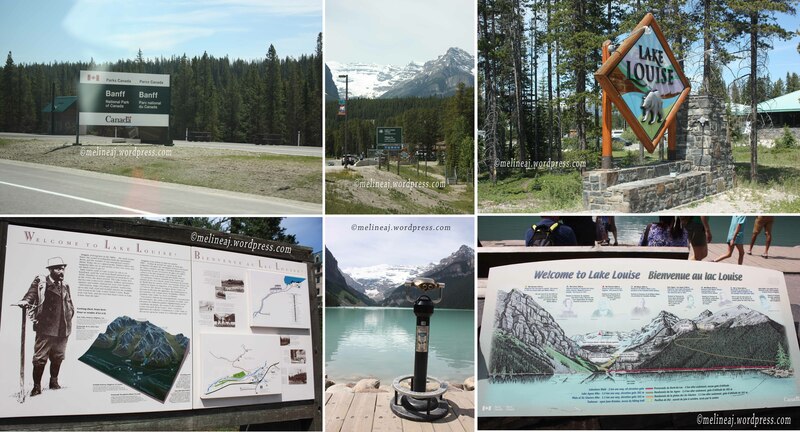 Nearby, there was a small supermarket, a candy store, an ice cream shop, gift shops, information centre, and ticket booth for Lake Louise Gondola. If you have some spare time, don’t forget to visit Moraine Lake with a short 20 minutes drive south from Lake Louise. From the pictures on the internet, this lake is as beautiful as Lake Louise. Before departing for our trip, we purchased Ultimate Explorer package from Brewster website (adult Cad$109.95 and children Cad$54.95). The Ultimate Explorer package covers 4 attraction tickets around Banff: Banff Gondola, Banff Lake Cruise, Glacier Adventure, and Glacier Skywalk. If we were purchased each attraction ticket separately, we would spent Cad$156.80 for 1 adult ticket! So, I really really recommend you to check out the website and pick whatever attraction combo (they have different combination of attraction) you’d like and save some $$$! A little reminder, don’t forget to PRINT your confirmation email in order to exchange it to the real ticket. The ticket booth at each attraction does NOT accept mobile phone confirmation! 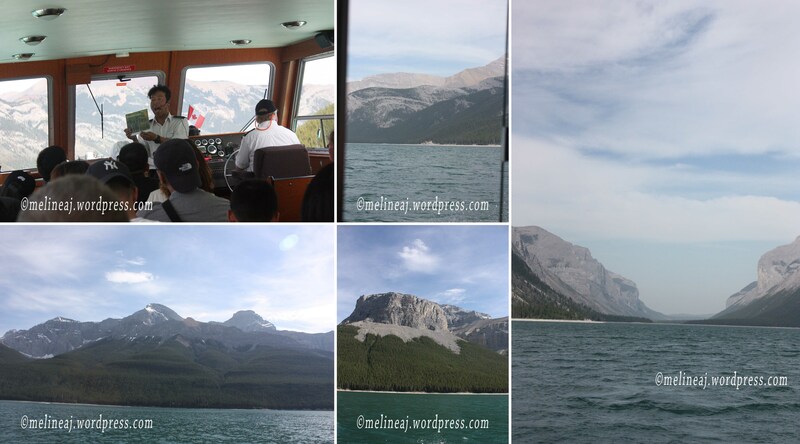 We continued our trip 30 minutes north from Lake Louise to Lake Minnewanka for our lake cruise. The ticket booth is located at a little hut beside the small cafe. We arrived there at about 3.45 pm and our designated cruise time was not until 5 pm since there was a tour group that filled up most of the seats for 4 pm cruise. So, we walked along the dock, took pictures of the beautiful lake, and bought an ice cream – yeah it was a screaming hot day! While sitting on the shore and enjoying our ice cream, suddenly there was a heard of mountain goat on the street. They looked puzzled as there were so many people around. At a moment, I was a bit scared too so I moved from my seat and the goats immediately went down near the water to eat. At 5 pm, we went back to the dock and started lining up for the lake cruise. Our guide, Kenji, is a funny yet informative guy. Originally from Japan, he has been living in Alberta for over 17 years. In summer time, he works as a guide for the lake cruise and in winter time, he is a ski instructor. What a life! His English is very good and he told so many informative stories about Lake Minnewanka. Lake Minnewanka (meaning Water Spirits) is a glacial lake with 28 km long and 150 feet deep that makes it the biggest lake in Alberta. Naturally, the lake was smaller and had a village nearby. In 1941, Canadian government decided to build a dam on the lake as a power source for Canada during the World War II. It took 6 years to fill the lake to its desired depth in order the dam to work but by that time (1947), the WW II was already over. Nowadays, the dam provides power to Banff and its surrounding towns. The lake is actually nestled between 2 mountainous areas. The north part of the mountain is actually more fertile than the southern part. Kenji pointed out that there were more vegetation of pines on the northern part. There is an one-way hiking trail along the lake that connects the northern part to the southern part. 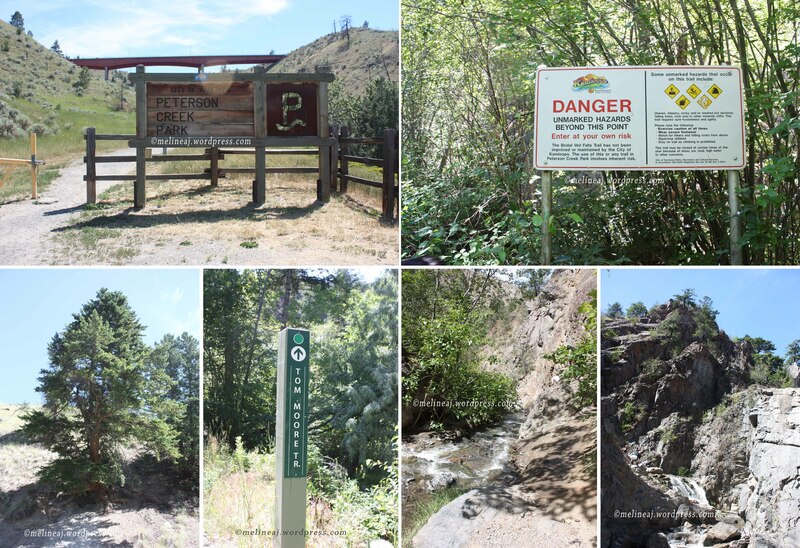 The reason of the one-way trail is due to the population of wolves on the southern part of the mountain. Environment Canada decided to close the southern trail since the wolves population declines years ago due to the hikers. Apparently, the wolves refused to mate whenever they felt disturbed. Kenji also said that aboriginal people use Aspen trees around the area as anti inflammatory as it has similar ingredient as aspirin. The powder on the bark of Aspen tree can also be used as sunscreen. This lake is also a filming area for some famous movie and TV series. In 1950’s, Marilyn Monroe filmed River of No Return on a small bridge near the lake. Also, a very famous four-legged movie star, Lassie, was seen filming on the same spot. 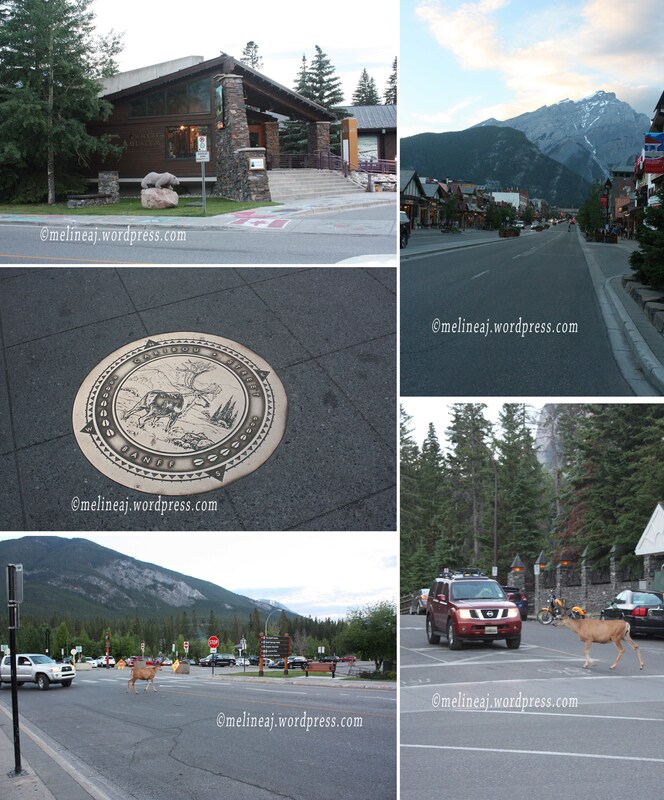 After an hour tour, we continued our trip to Banff downtown. We drove pass Two Jack Lake and Johnson Lake. Spend some time there to take picture if you have spare time. It was about 8pm when we finished our dinner. So, we walked and window shopped around the downtown. On our way back to the parking lot, we suddenly saw a group of people taking picture on the sidewalk. It turned out that there was a deer chomping down the tree near the Whyte Museum. The deer was probably panicking too since it became a unique attraction to the tourists around the area. It looked puzzled when a car suddenly approached it but finally, he walked safely back toward the forest. It sure was an exciting sight to end our day. Whyte Museum and a deer crossed the busy street!